​Thank You for your Support and Generosity! It was great to see all of you Today. We hope you had a good time with the silent auction and enjoyed some delicious BBQ plates and giant turkey legs! 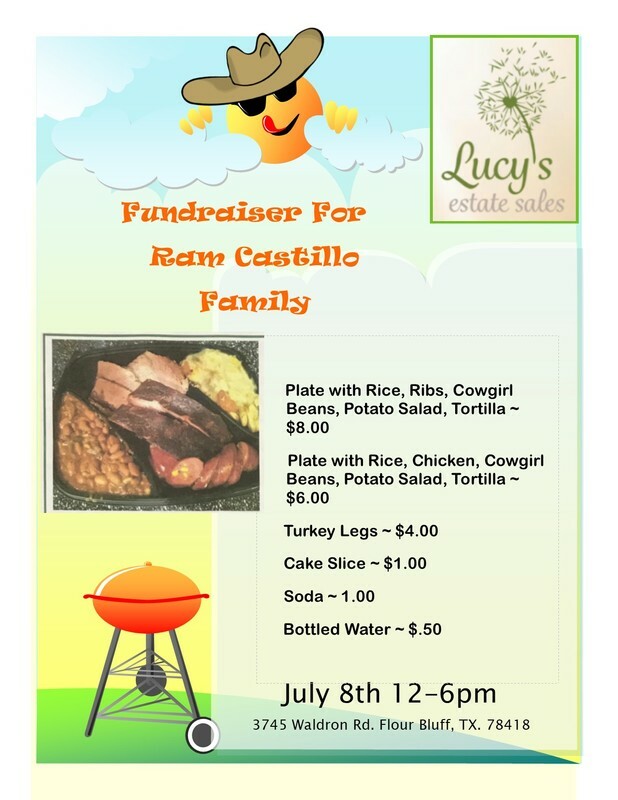 We at “Lucy’s” Estate Sales will be conducting a Fundraiser to benefit one of our team members Ramiro Castillo who suffered a tragedy beyond description. A couple of weeks ago their home burned and they will need to replace everything. They will be able to save the shell of the home but everything else was a total loss. The Fundraiser will consist of food plates and all profits for that days sale will go to the family to help re-build. This will be one day only and we appreciate your support and help in this event. The Castillo family will be there as well and appreciates all your support and help. 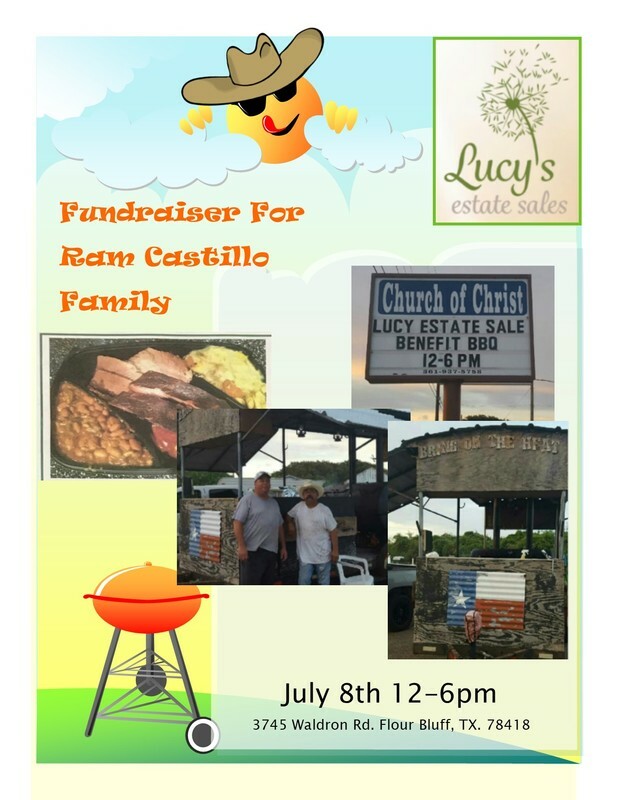 We will have silent bidding on items in the building as well as items for sale all “Lucy’s” Estate Sales profits will be donated to the Castillo Family.